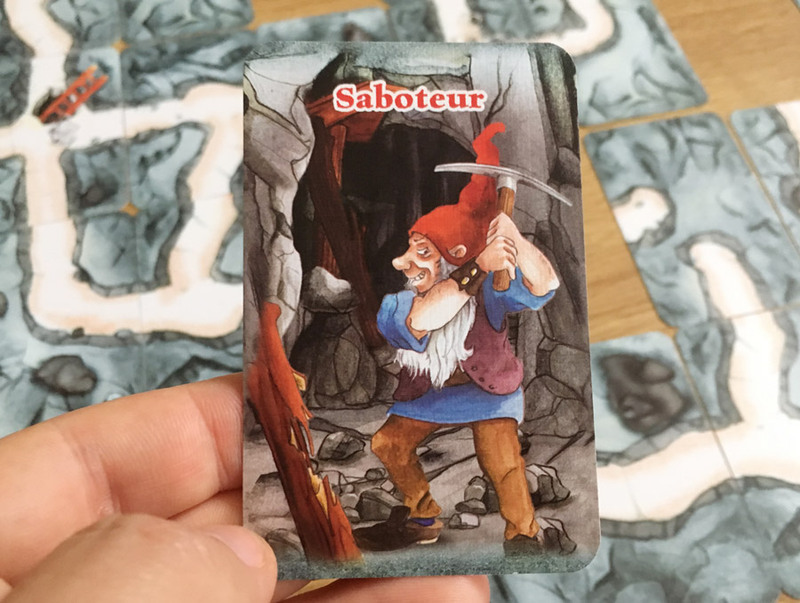 I’m Frederic Moyersoen and I’d like to share with you the story behind my Saboteur game series. In 1998, I was a big fan of a TV show in Belgium, called ‘the Mole’. The series was about a group of people performing missions in a foreign country. In the group there was also a secret bad guy whose task it was to sabotage the missions. During each episode, one candidate was voted away, making it easier and more exciting for the audience to find out who could be the saboteur. At the end, only 3 people remained for a final mission. Although very successful, the series discontinued after a few years. At that time, I had already started designing games, but after several years of trying, I still had no success at all. In January 2001, I planned to go to the Toy Fair in Nürnberg for the second time and I was still looking for a new game concept. So, I tried to adapt the popular TV concept into a game. The game idea was very clear: players had to cooperate to fulfill a mission while a secret saboteur was trying to prevent it. The next step was to implement this idea in a game. As a kid, I was always a big fan of labyrinths, so I thought that it would be a nice idea to build a path together, towards a particular destination. 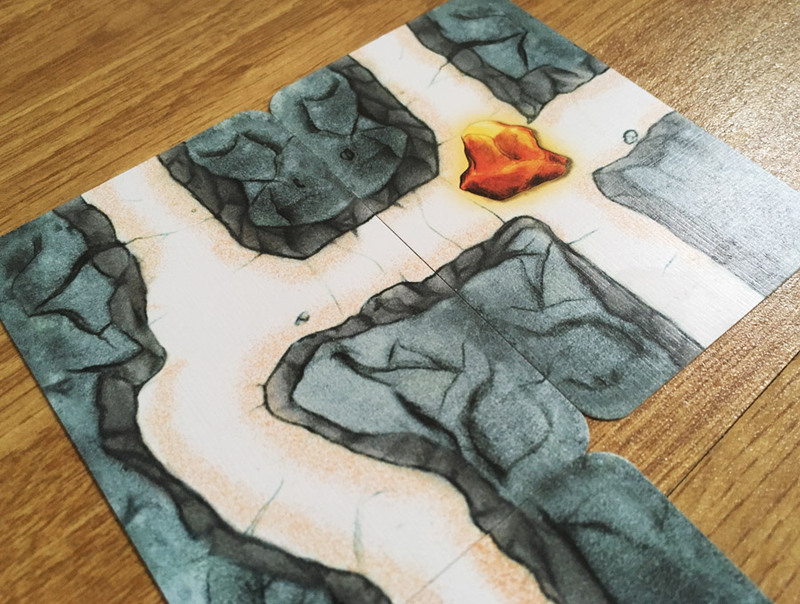 Standard cards seemed the perfect choice for the path as cards are rectangular and not square, making it less obvious to place connecting cards. 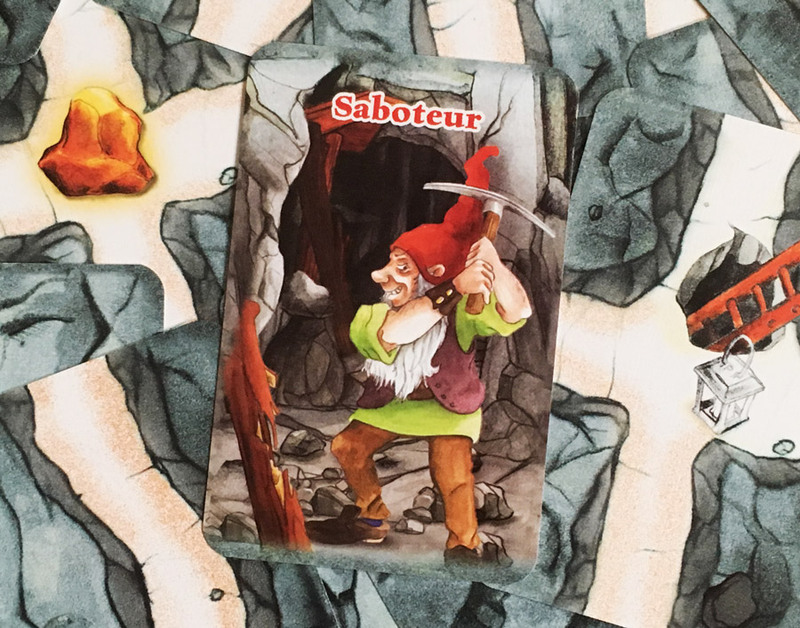 The saboteur could then easily place his cards in the wrong direction making it more difficult for the diggers to reach their destination. In search of a theme, I thought of Snow White and the Seven Dwarfs digging galleries, in search for gold. 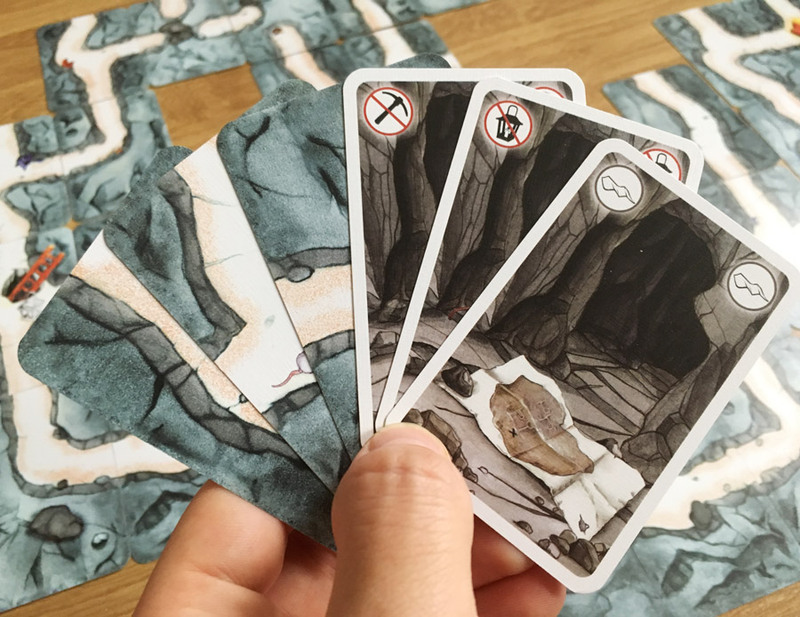 Finally, the game needed a system to block the saboteur and I immediately thought of broken equipment which could also be repaired during the game with other cards. As you can read, the complete game concept formed quickly. 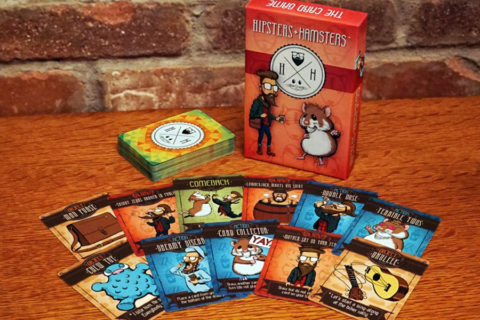 I drew some cards and printed them out for the first playtests. During these playtests, I noted immediately that players had a lot of fun. 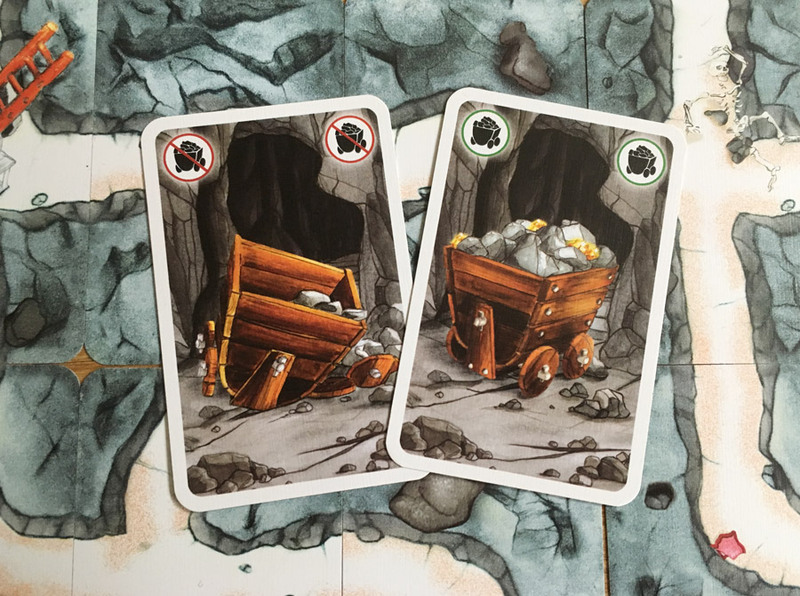 But, with one saboteur and many diggers, the game balance was strongly in favor of the diggers. So, one of the first modifications was to increase the number of saboteurs in relation to the number of players. Full of confidence and a few weeks later, I went to the Toy Fair in Nürnberg. There, I noted a strong interest in the concept and no less than 12 publishers asked for a prototype of the game. So, I put my brains on hold, printed all requested samples and sent them simultaneously to the different publishers. My great expectations were quickly tempered with the first refusals. One by one the prototypes were sent back. One big publisher added their standard answer: “the longer we played it, the more we got bored”. Another gave the comment that the mechanics looked too similar to “1000 Miles”. Even the actual French distribution partner, told me at first that the game was probably too simple! At the Spiel fair in Essen, only one potential publisher was left. It was Amigo, a German publisher with an extensive collection of card games. To my big surprise, they informed me that they liked the game very much, but that it didn’t fit their publication standards. My prototype consisted of 60 cards which had to be increased to at least 100 cards. Above this, my contact suggested to adapt the game from 3 to 6 to 8, 9 or even 10 players. As the publisher organized a testing weekend in the following month, he also wanted all changes for that occasion. Of course, I accepted the challenge and finalized a new prototype in time. Looking back at these modification suggestions, I think that they were crucial to improve the game experience and that they might explain why the game has become so successful. 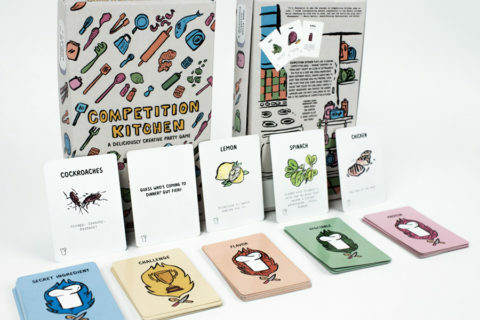 Most of the games are designed for 3 to 4 players. So, any game which allows more players to join, is a big trump compared to other games. Finally, it took one extra year, namely at the Spiel fair in Essen 2002, to get a final decision of Amigo. There, they told me that they planned to publish the game. Soon, we agreed on a license agreement. As the production planning for 2003 was already fixed, the game was finally launched in spring 2004. In the first year, 25 000 copies of Saboteur were sold in Germany at a sales price of 7 Euros. Unfortunately, a year later the game was dumped at 5 Euros in Essen. My perception was that the story would end there. By luck, other distribution partners started releasing the game in their countries. Since then, the sales numbers have increased year after year. In 2005 Saboteur won the public’s award of St. Herblain in France. The funny story about it is that, as they told me later, there was some hesitation among the jury to attribute this prize to a game which was not designed by a French author. The purpose of the contest was to promote new French games. They made an exception as they assumed that I was French speaking. In fact, I’m Dutch speaking and living in Flanders. Thanks to my parents and to school, I’ve just a good knowledge of French. Too late for the jury: Saboteur kept the award and the free promo around it. A coincidence or not, France is still the biggest export market for Saboteur. In 2015, the sales numbers reached 300 000 copies in one year. The total sales over 11 years have reached 1,4 million games. The game is available in more than 30 different language versions. The latest language version is Turkish. 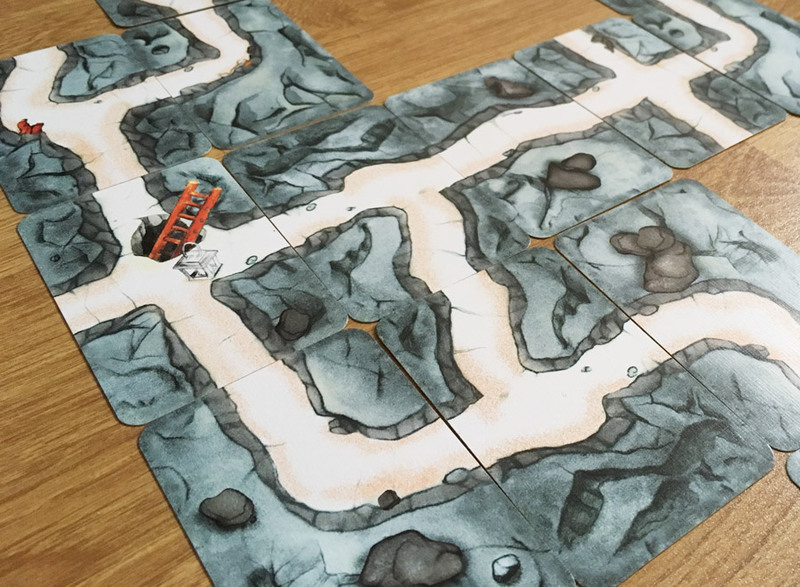 A new expansion, Saboteur 4, is ready. It just needs to be planned in the release schedule of the publisher. 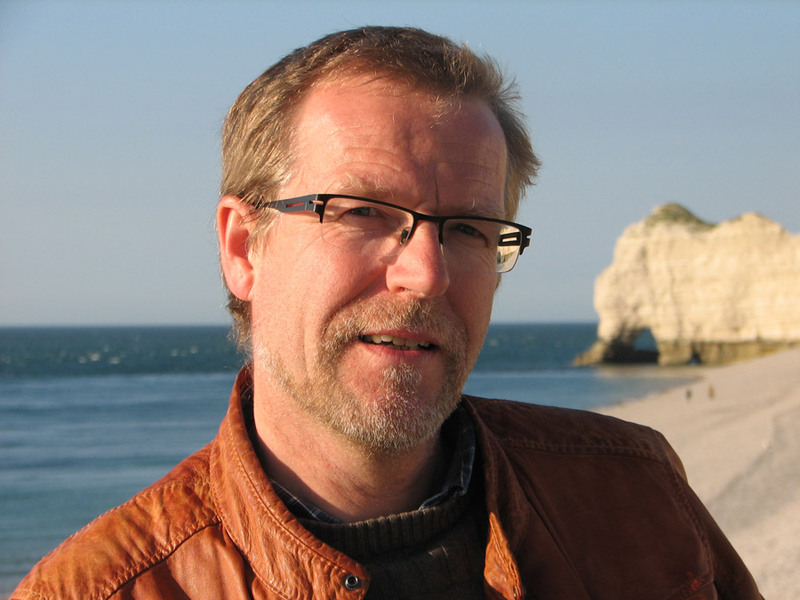 Born in Belgium in 1961, he was the 3rd boy in a family of 6 boys. At the age of 12, he started copying games with coloured pencils. That was a cheap method to acquire the games that he liked to play. One of his creations was a copy of Stratego by using empty matchboxes for the plastic stands. The main problem, when playing the game, was that if you coughed once, all the boxes would topple down, revealing your hidden flag, bombs and other pieces. He also started to create some original concepts, but the rules were mostly so complex that after an explanation of half an hour, his brothers get bored and preferred to switch to another game. Besides playing games, he liked drawing comic strips as well and dreamed of a career in this business. Later, he changed his mind and started following courses to become a movie director. As the movie business in Belgium was rather marginal at that time and relied completely on subventions, he had to give up that dream too. So, he started his professional career as a sales man: first of decorative lightning, then video equipment, video services, electronic equipment and so on. Later, he found a creative job working for a pharmaceutical company and then for an insurance company. 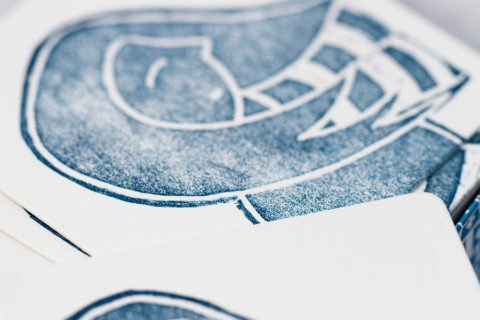 After being fired, he wanted to switch careers and realize his new dream: becoming a professional game designer. Supported by a nice severance payment, he asked his wife for 4 months to imagine and sell a first game. In the end, it took 4 years to achieve this. The break-through came by winning a design contest in France. His first published game was “Gouda! Gouda!” in 2002. 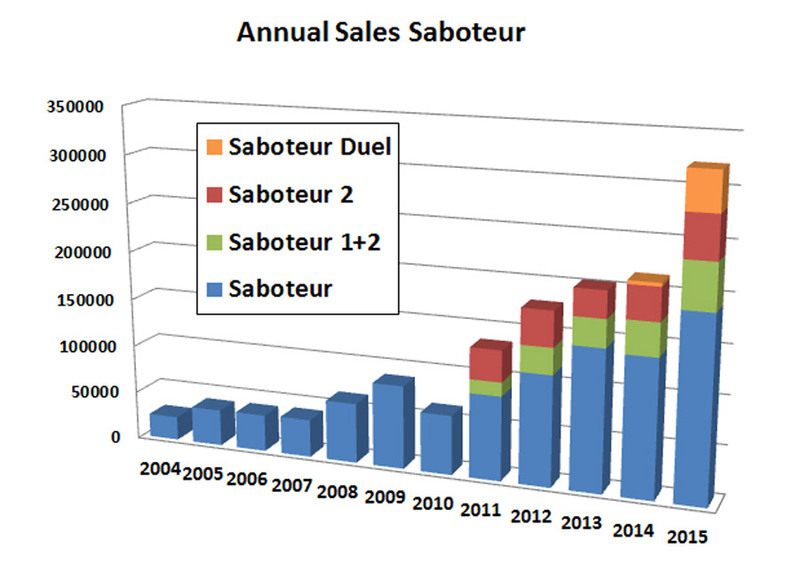 In 2004, “Saboteur” was launched, which has grown to be a big hit over the following years. In 2009, Frederic Moyersoen was nominated for the Kinderspiel des Jahres with “Nicht zu fassen”. In 2010, he won “l’As d’or – jeu de l’année” in France, with the same game. 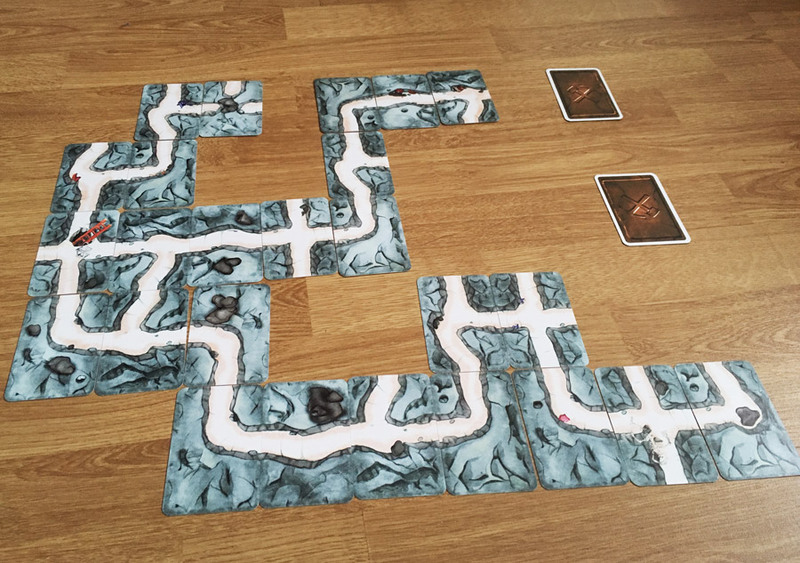 In 2011, the first expansion for Saboteur was launched. In 2015, the “Saboteur – the duel” version followed. By now, 29 game concepts of his have been published. And about 6 more games are already in the pipe-line for the coming months. Get Saboteur 1 , Saboteur 2 , or a Saboteur 1 & Saboteur 2 Expansion Bundle on Amazon. I really love Saboteur, it is so much fun! Especially with the expansion. Still one of my favourite games! I’m looking forward to the new expansion.